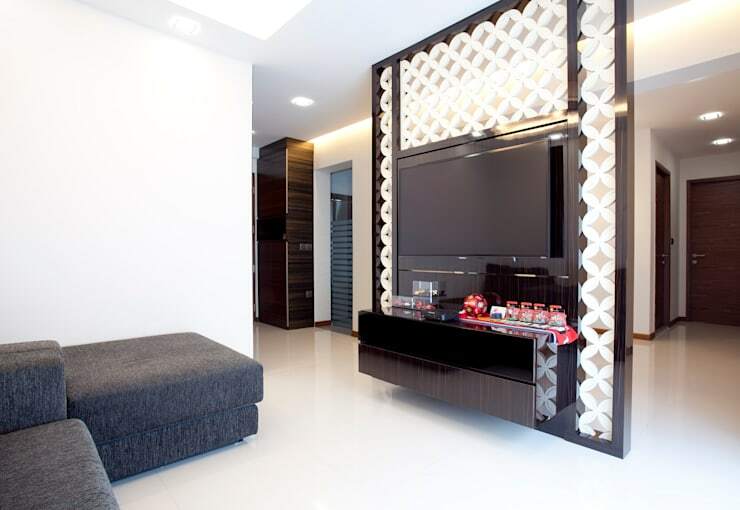 Everyone wants to create a space that they can call home, but what makes every home complete is the fact that you can customize it to suit your very needs. 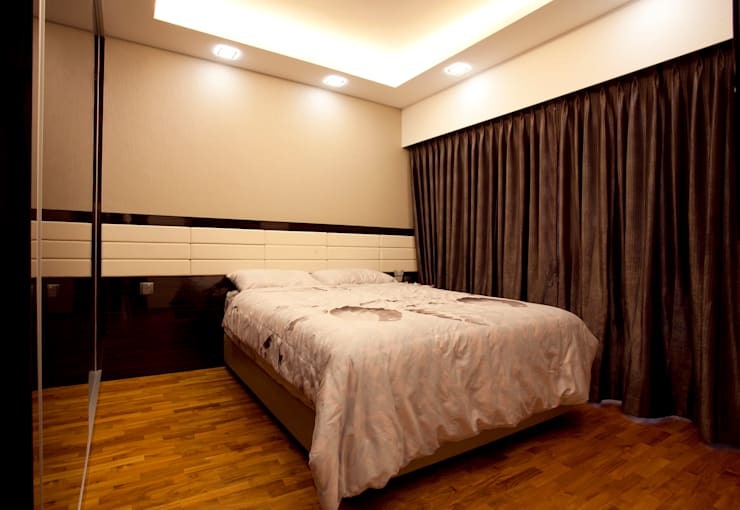 Customizing your home with the help of experienced interior designers will not only give you the opportunity to make it complete but also to add that extra bit of finesse, luxury, and ideal beauty that you’ve envisaged it to be. The professional designers and interior decorators at VIOLA work closely with their clients to help them create the ideal home of their dreams. Let’s find inspiration from these exquisite home décor improvements. Clutter is an easy aspect to come by and sometimes colours can add to a living space looking cluttered or overcrowded. However, with the right touch of décor and colour blends, you can create the perfect, homely space. This modern kitchen is an ideal example of how the skilled designers at VIOLA make use of white and silver to complete the look. The white storage cupboards (handless) are perfect for that sleek continuous look. Essentially, this kitchen only displays the necessary utensils and kitchen electronics on the counter tops. The light coloured tiles on the floors combined with the large silver refrigerator also reflect that look of a pristine cooking area. 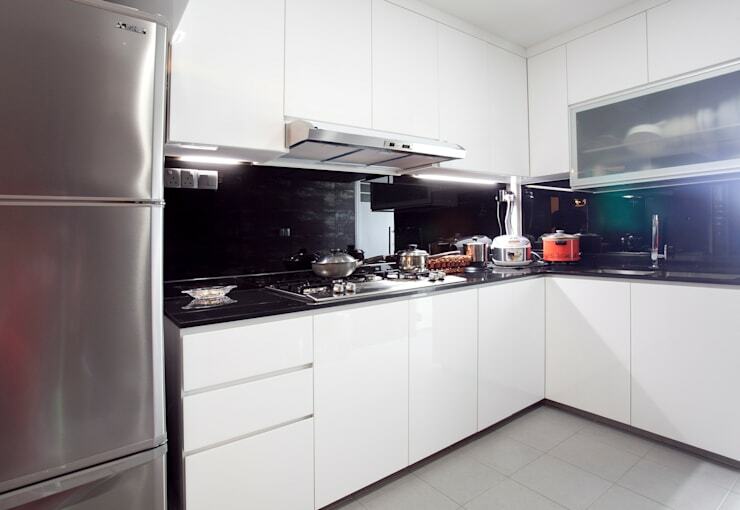 This kitchen has so much space, that even if guests wished to pay the cook a visit or accompany the hosts in the kitchen, it would be able to accommodate them too. 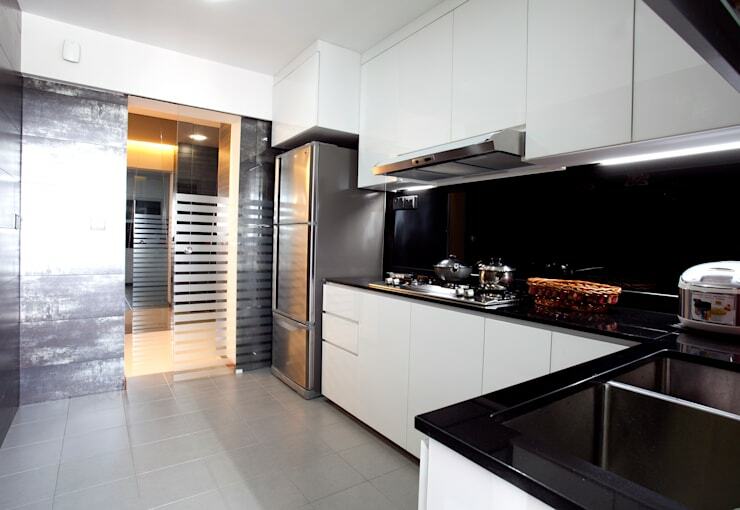 The black granite countertops and black splashback are a chic take to this already stunning, modern kitchen in Singapore. This bathroom is a fantastic example of how the interior designers used earthen and natural colours to blend effortlessly with their choice of modern aesthetics. An almost stone-cladding like shower interior gives off that comfortable health spa feeling, which is fitting as you can simply relax in your bathroom. 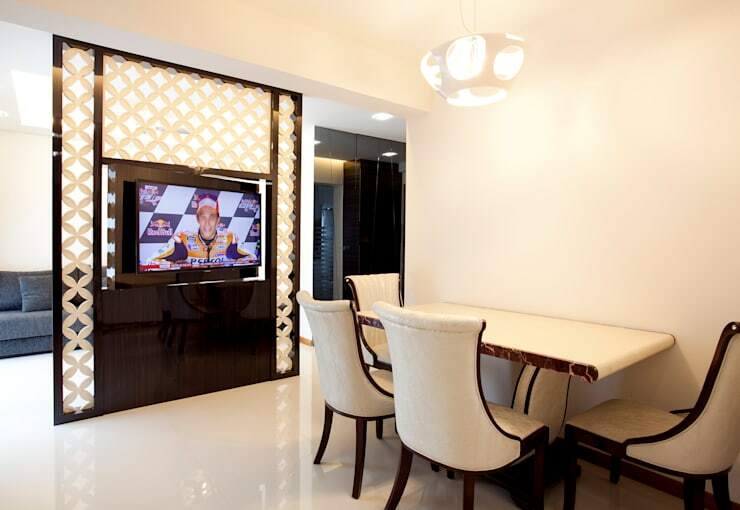 This dining area is comfortable featuring trendy chairs but most of all the TV where you can enjoy your meal and catch your favourite shows. This lounge and open floor space make it easy to entertain guests even when accommodating lots of them at the same time. There is adequate room to move or simply to relax and watch TV. The large space and bright light ambiance also create an almost “showroom” feeling about this living area. Do you notice how VIOLA interior designers left the spaces open and free to access? 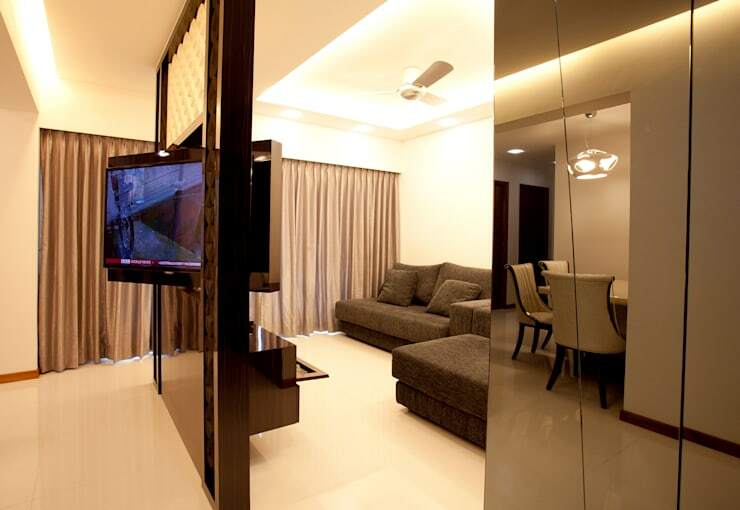 The only division in this large living room is the partition screen that not only looks great but also has a TV for viewing in both the areas. As mentioned earlier, this partition serves to part the two areas without creating that solid wall division. 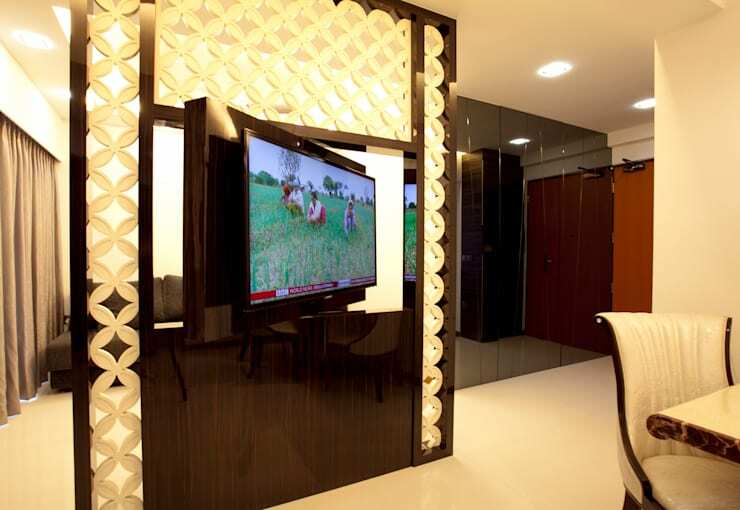 This is not just any screen partition; it has a unique swivel screen television that allows for being able to watch TV in the dining room or the lounge area. Not only does this maximize space, but also reduces the need for too much décor. Few things spell luxury more than the proper use of great furnishings and accessories. 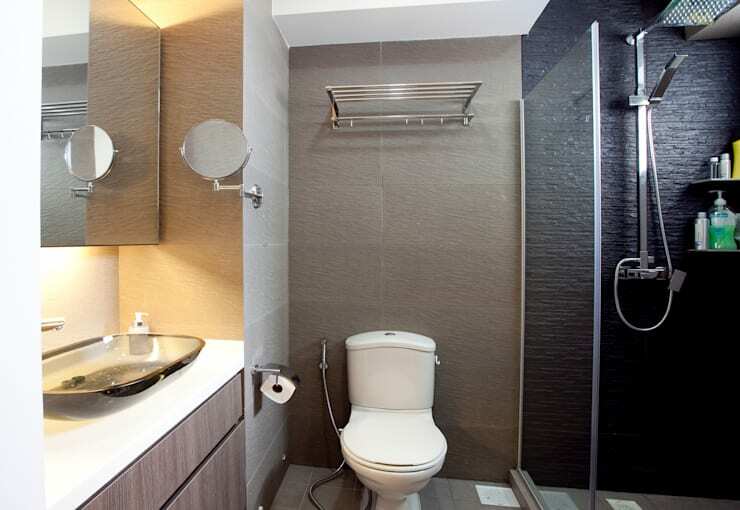 This bathroom showcases the metallic finishes which adds to the modern design take of this home and also some neutral coloured walls and storage to complete. 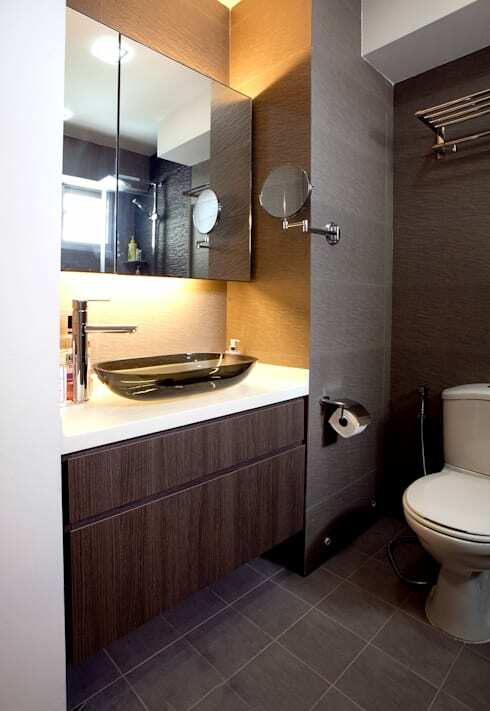 The dark gray cladding as is seen in this shower sets a beautiful tone to this neutral bathroom. 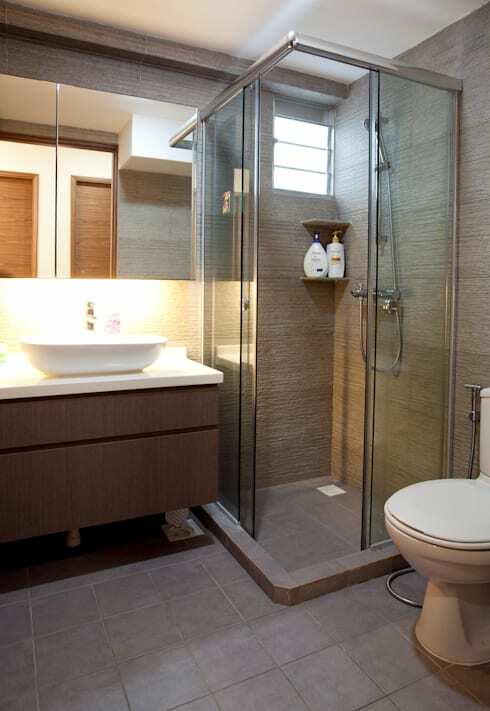 Again, the use of natural colours gives this bathroom great charm whilst still living up to its modern standards. This master bedroom is not overdone as seen here and designers left extra room for the homeowners to add their very own signature touch to complete this space. Running out of ideas? Homify is packed with great inspiration. If you’re looking to create the ideal bedroom even when space is limited then browse this ideabook to get your creative juices flowing.